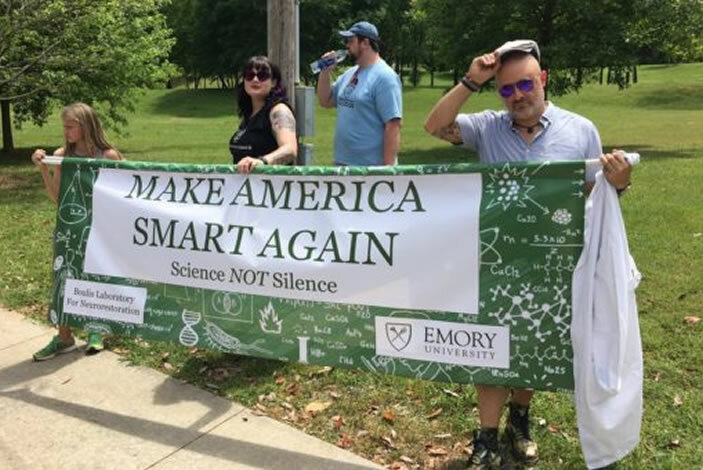 Emory scientists and supporters of science came out in substantial numbers Saturday, April 22, for the March for Science Atlanta in Candler Park. 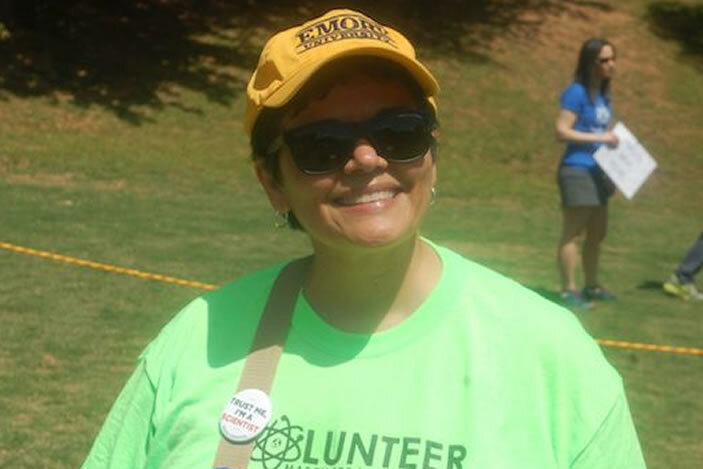 The organizers have estimated that somewhere around 8,000 people participated in Saturday's march, based on aerial drone footage and Atlanta Police estimates. 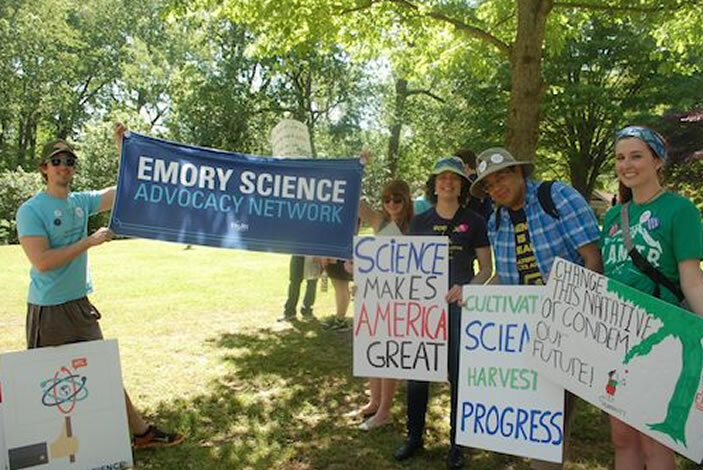 March organizers, many of whom came from the Emory research community, say they want to continue their advocacy momentum and community-building after the event's success. 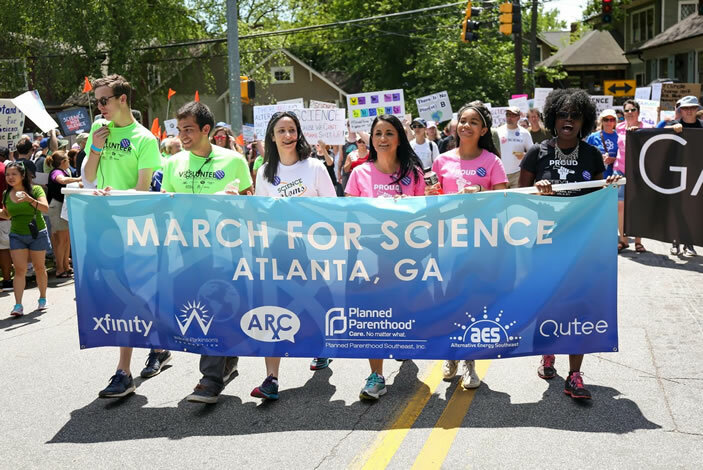 The web site "Science Marches On" has been set up to present post-march activities. 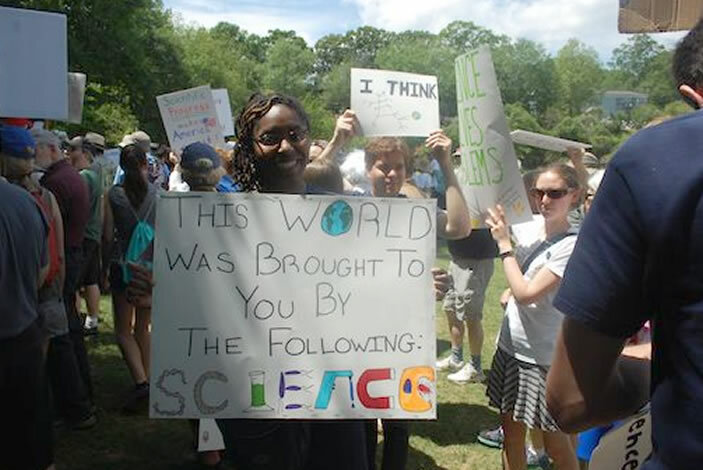 The Atlanta March for Science was among hundreds of Marches for Science around the world, including the one that got the movement started, in Washington, D.C. 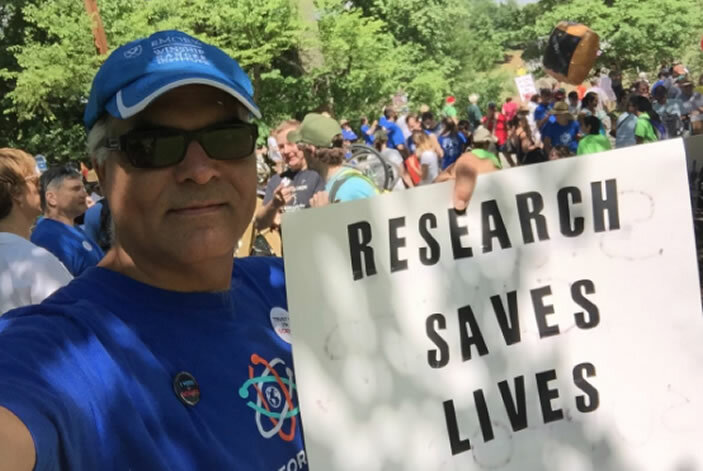 The issues that sparked the marches included proposed research funding reductions and open skepticism, contrary to overwhelming scientific consensus, of climate change and vaccines. 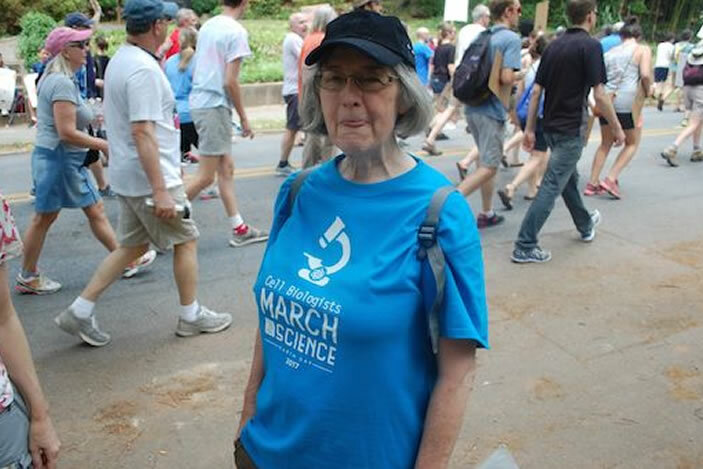 Several members of the Emory community attended the march in Washington, including autism geneticist/communicator Chris Gunter and oncology nursing leader Deborah Bruner. 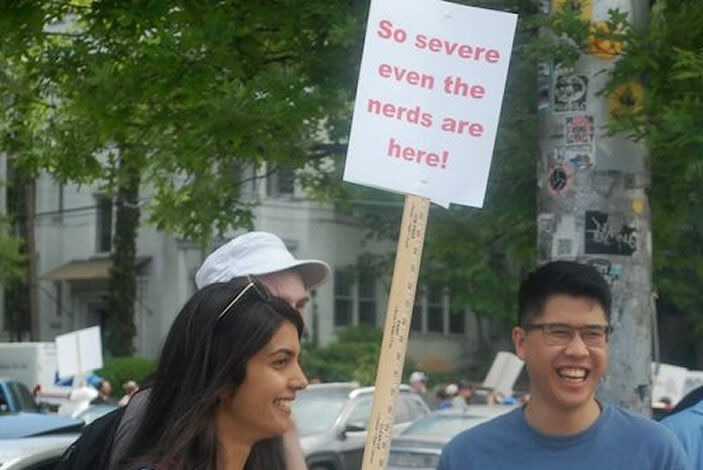 Here in Atlanta, marchers had a variety of colorful costumes and signs, with messages ranging from the blunt to the subtle. 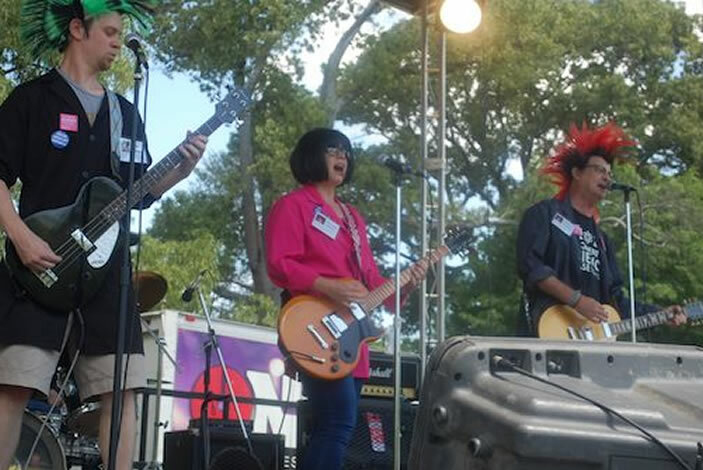 The crowds enjoyed sunny weather and pre-march entertainment from the punk rock band Leucine Zipper and the Zinc Fingers. 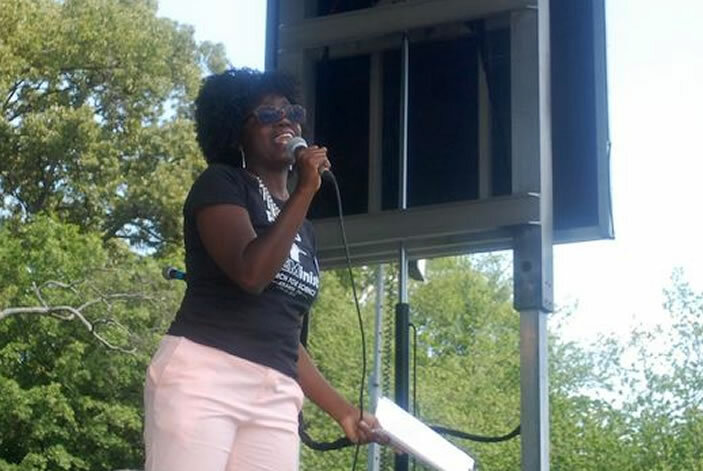 Former Emory neuroscience postdoc Alison Bernstein, who blogs as "Mommy PhD" and is now an assistant professor at Michigan State, was one of the first speakers, describing how some vaccine skeptics have embraced unproven and possibly dangerous treatments for conditions such as eczema.